It's that time in the year, that a lot of brands release a limited editon Christmas collection. 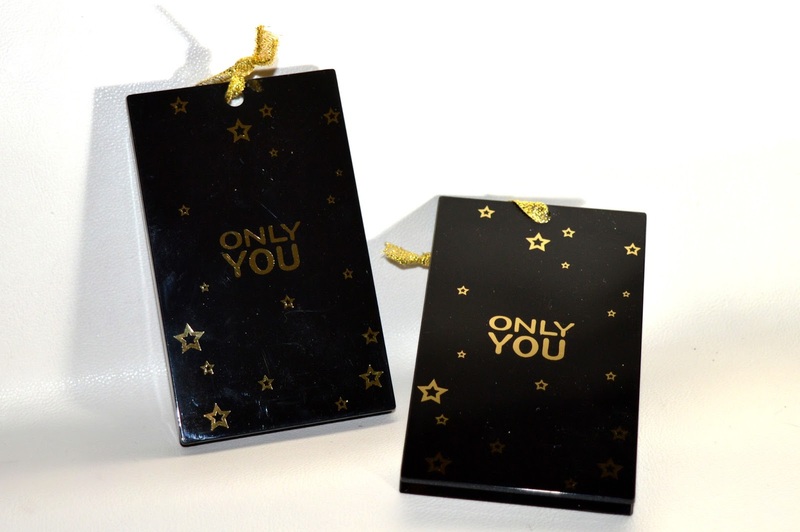 And so did 'Only You', a budget brand. 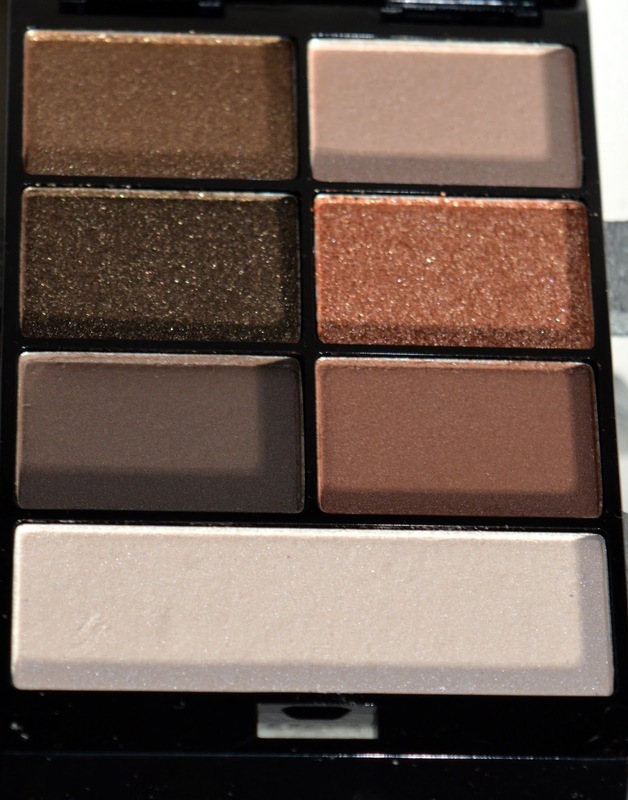 Let's take a closer look at these gorgeous palettes. When I saw the box where the palette comes in, I was allready thinking about Christmas. 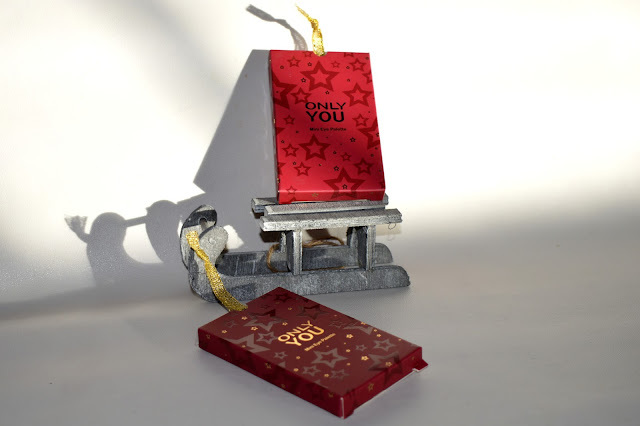 Red is a color that we all associate with Christmas and so are the golden stars on the packaging. Although that this brand, is a budget brand, the packaging looks very stylish to me. When I take the palettes out of their packaging, they are completely black with golden accents on them. I love the look of this palette. When I opened the palettes, I was amazed! The colors look so great. Each palette comes with 6 eyeshadow colors and 1 highlighting color. 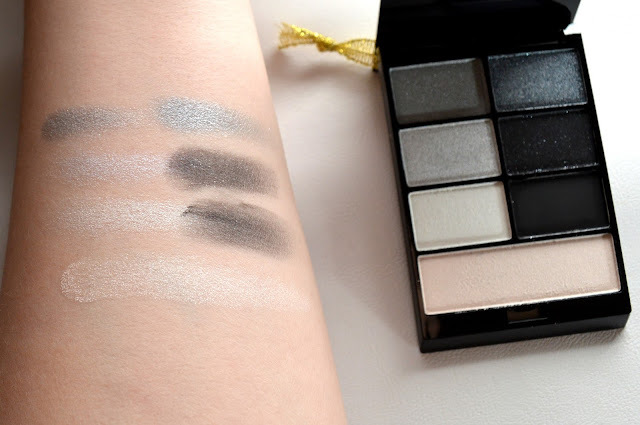 Each palette has 4 shimmery eyeshadow colors and 2 matte ones. Let's take a look at the colors. 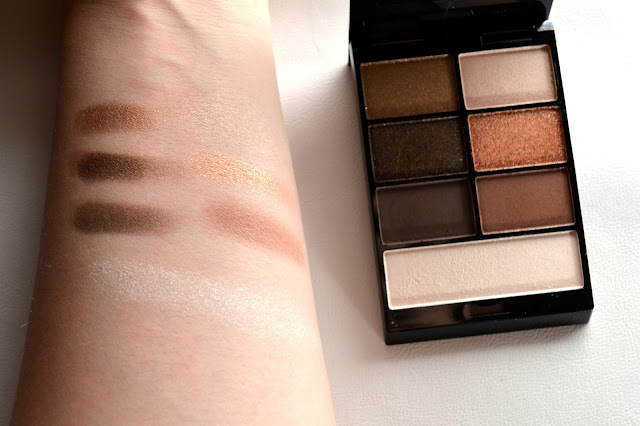 I was surprised by this palette, the pigmantation is good, but not to overwhelming. I normally don't use black or dark colors because the pigmentation comes out to dark for me. But these colors are great. 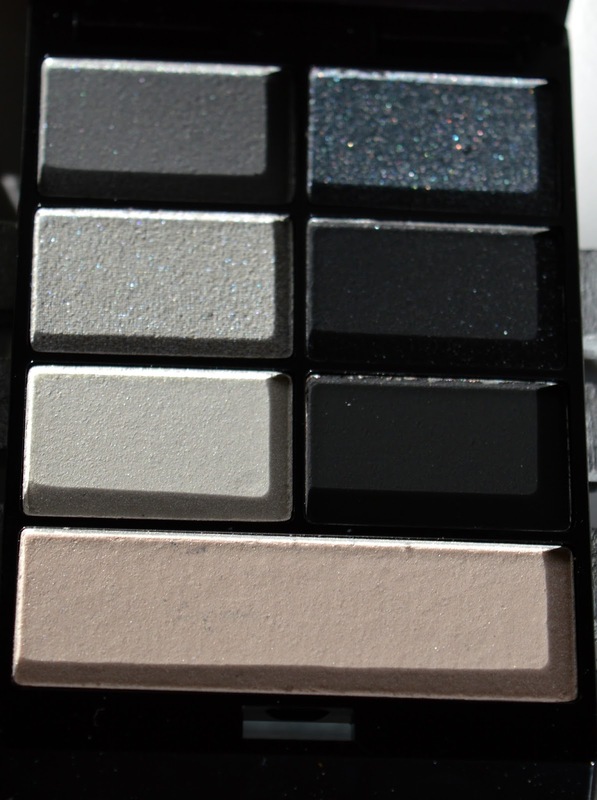 This palette is also amazing. The colors have a perfect pigmentation and are gorgeous. 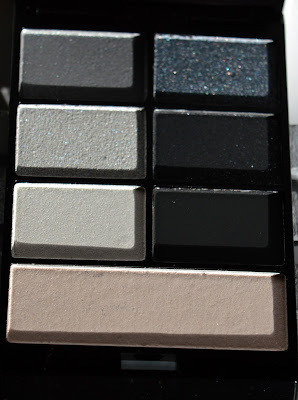 My favourite of these two palettes is the black one because I was looking for a palette like that one since ages. 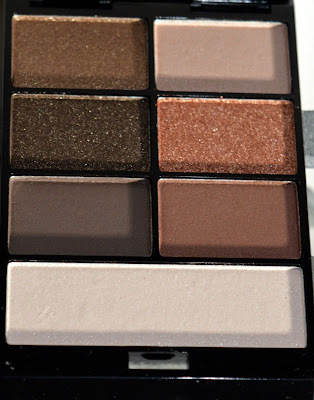 Maybe the black one is my favourite because I allready have a lot of palettes with brown colors in it (Naked, MUA,...). 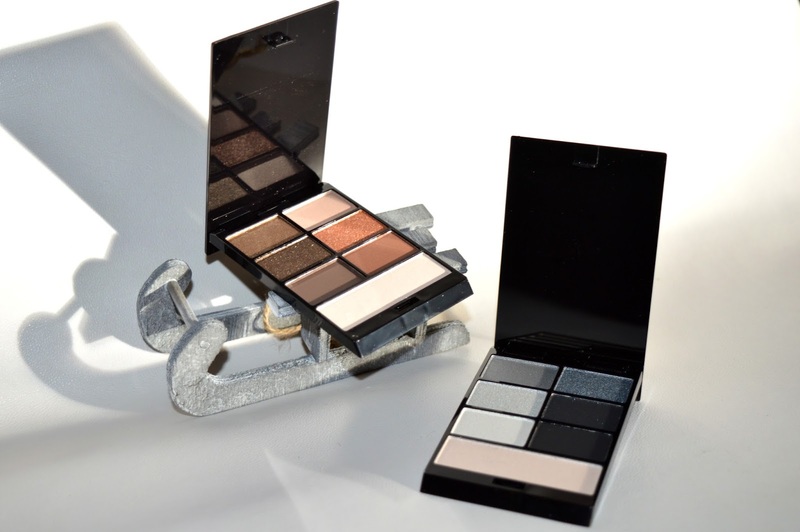 These palettes are available at Ici Paris XL for only € 3,95. So cheap in my opinion! 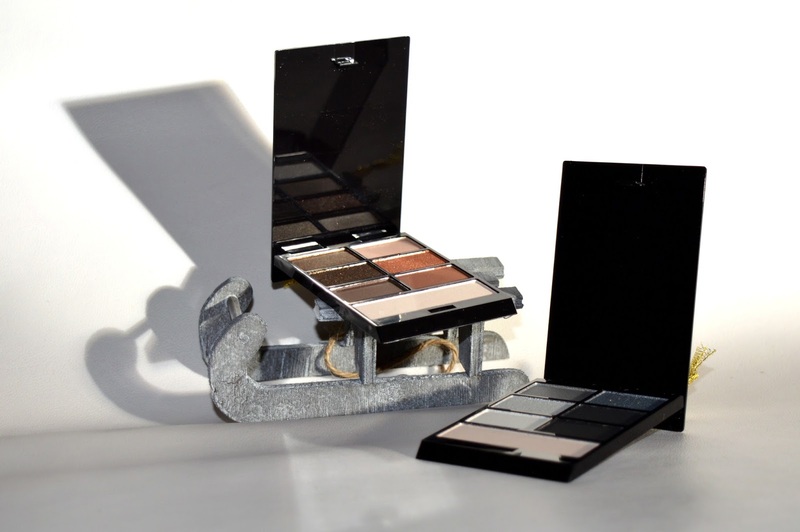 Will you buy one of these palettes? Oh wauw, ze zijn wel erg betaalbaar, fijn! Oooh zijn zijn idd mooi en lekker betaalbaar! Deze twee pallets zie je meteen dat het Kerstcollectie is. :-) Anders dan bij jou vind ik de bruine palet mooi, omdat de grijs en taupe tinten mij niet staan.